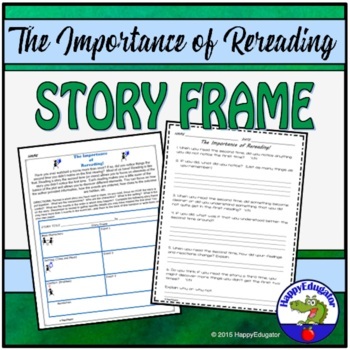 Reading: The Importance of Rereading Story Frame. Reading a short story? 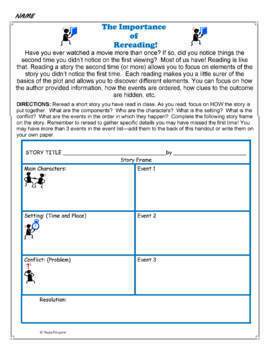 This story frame can be used with any short story to encourage students to reread for specific details on characters, events, setting, and conflict. 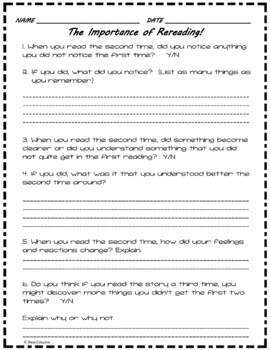 A good way to have students think about what they read. This is also a useful activity to use as a substitute lesson plan! The second page has students reflect on their second reading and if they notice any differences the second time around.